Israel’s national anthem is filled with hope. It is beyond inspiring when you hear it in a place where so many Jews perished during the Holocaust. Majdanek was a concentration camp in Poland where over 70,000 Jews were murdered during the Holocaust. Each soul was a life in itself. The fact that 70,000 people a small fraction of all the lives taken during the Holocaust is beyond comprehension. But despite such horrifying times, the Jewish people chose to live on. They did not lose hope, even in such dark times. They did not even know what the future would bring, but they still chose life. The Jews in Europe had no idea that just a few years after World War II ended, the State of Israel would begin to flourish. 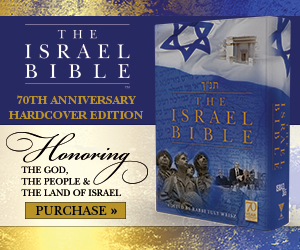 Israel’s national anthem, Hatikvah, is a song of hope. It was written decades and decades before the state of Israel existed and became the national anthem once Israel became a state. Officers in the Israel Defense Forces sang Israel’s national anthem, a song of hope, in a concentration camp. Watching it is extremely powerful. Just over 70 years later, the IDF created this moving moment. Those murdered in the Holocaust probably never imagined that the Jews would have their own state with their own army defending them.